Tourists visiting a colonial-era jail at in Sangareddy in Medak district of Telangana can now get a first-hand experience of prison life by paying a fee of Rs 500 for a day’s stay. The 220-year-old District Central Jail at Sangareddy, which has now been converted into a museum, offers a 24-hour confinement under an innovative initiative called “Feel the Jail” launched by the Prisons department for people who want to spend time behind the bars and experience the feeling of being under detention. During the stay, the inmates will be provided with a prison uniform made of khadi, a steel meal plate and glass, a mug besides washing soap, bathing soap, bedding and other facilities as per state prison manual, in addition to a fan. According to Laxmi Narasimha, Deputy Superintendent of the Jail, no tourist has so far availed this offer. Also a prior intimation is essential to avail this offer so that jail authorities can make necessary arrangements for the visiting inmates, he said. The ‘prisoners’ will be provided all the meals along with tea and refreshments as per the jail menu. While tea is prepared at the old jail, the meals include chapati, rice, rasam, pigeon pea, red gram dal, curry and curd, which is supplied from the new district jail near Kandi village on the outskirts of Sangareddy town. There is no work schedule for visiting ‘prisoners’ but they have to clean their barracks and are free to plant saplings during their stay, the official said. The District Central jail was constructed during the Prime Ministership of Salar Jung-I in 1796 during Nizam rule in the princely state of Hyderabad. The heritage jail is spread over three acres of land of which the building occupies more than one acre. There are nine barracks in the male wing and one in the female wing. After using this ancient facility for over 216 years, a new jail was constructed near here and the inmates were shifted to the premises in 2012. The old jail was later converted into a museum and thrown open to public in June this year. The museum is furnished with history of prominent persons who were lodged here and exhibits several antiques, artifacts and equipments showing the history of jails during Nizam rule. As of now, 15-20 persons visit the jail museum daily. 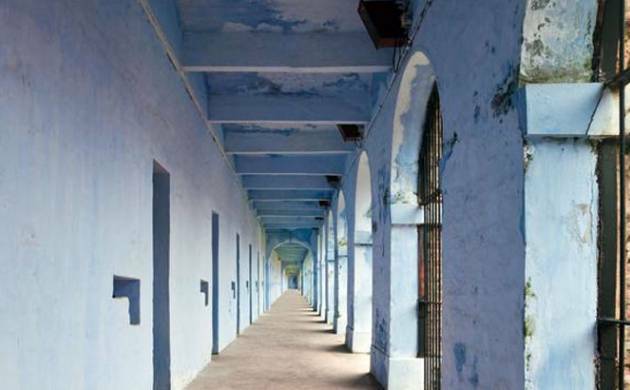 To increase footfalls, the Prisons department is planning to include the jail museum visit in the Telangana state tourism department’s itinerary. Also, a team of Prisons department is studying the possibility to start a children’s park and ayurvedic village in the old jail.